Where do stories come from? I mean, in this 24/7, always on world of media and news, what is the origination point and how can we initiate the process to win interest and awareness for our issues, products, services, and thought leadership? Ironically, it often comes down to the worldview of a company and its ability to realize that today, every enterprise is its own news organization. Every company can spark and originate its own visibility and seed it to other news organizations, increasing its impact and influence. If, they think like the media and understand how ideas, trends, issues begin and expand in a highly infectious world of news. Rule One. Unless you’re Apple, the media could care less about your product or service. Sorry to pop your balloon. Rather the media reports on trends and directions, movements, and velocity of issues impacting industry, consumers, and markets. Want to win their attention? Stop hawking you or your product. Instead, start reporting on your industry in ways the media can’t on their own. How? See rule two. Rule Two. Create a meaningful measure, index, or benchmark. How concerned is the world about Internet security? Poll consumers to find out. Which social networks are most stable and responsive? Test them regularly and report your findings. Which cities have the greatest infestations of bed bugs? 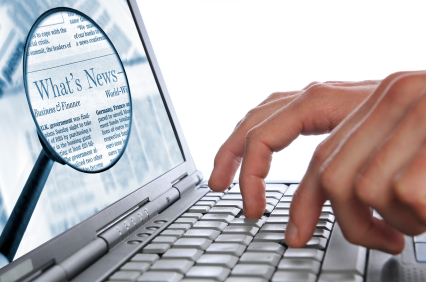 Scrape the Internet for news reports and publish your conclusions. To make news, you often have to look past your own self-interest to issues of greatest importance to the media as a whole. Look out upon your industry and find a voice unique and authoritative, one that can give meaning to the chaos and help the media and its audiences understand the true direction of an issue, problem, or solution. Rule Three. Publish your findings. While the media continues to distrust press releases, they value publishing, above all else. That’s because the media is in the business of publishing. They understand the permanence and impact of a well-reasoned argument delivered directly, without hyperbole or overstatement. Today, one of the most effective media relations techniques is simply connecting the media to a client’s own blog post or digitally published material. It’s viewed as more authentic, and efficient. The media simply doesn’t have time to invest in exploratory phone calls with clients. Rather, they prefer to go directly to the source of the information, read and review it at their convenience, determine the value immediately, and either report it or move on. Rule Four. Get to the takeaways. Today, the average media connection lasts no more than about 100 e-mailed words. So get to the point, and get there quickly. Start the pitch by giving the takeaways of your findings or conclusions, and then link directly to the blog post or the study that delivers the details and conclusions of your index or report. The media doesn’t want all the information up front. These are the people who slave over headlines in order to capture attention. For them, the most important news comes in the first sentence. The least important will be cut according to pyramid editing. Think similarly when crafting your outreach. Give the news first, the takeaways for the entire industry, and save the self-congratulatory rhetoric. The news about the news is that it’s more chaotic than ever. Those who report it must make sense of an ever-changing world of facts and details. By thinking like the media, and reporting on your industry, instead of yourself, you can effectively connect with the media, establish yourself as a source, and guarantee a voice that will be amplified through the reporting of others.